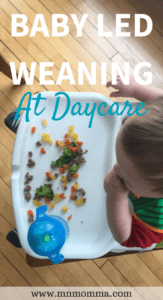 Baby led weaning can seem like a breeze, but what about when it comes to baby led weaning at daycare? Suddenly, you don’t have total control of your baby’s mealtimes and this can be stressful. Aside from wanting to make sure your little one is safe while eating, you also need to make sure your provider understands baby led weaning and is okay with it. Some people are hesitant about baby led weaning, because they’ve never heard of it or seen it in action. They’re so used to babies only getting to eat baby food that anything except that seems wrong and unsafe to them. This could be your provider, your mom, your grandma, your cousin, your coworker, your in-laws, your husband, or maybe even you. and keep it handy for any quick questions I have. It’s also nice to have this quick guide on hand. If you’re not totally comfortable with the idea of BLW – you can always do a combination. Some purees and some real foods. Just be comfortable! If you’re a mess and stressed – it’s probably not for you. But if you’re sold on the idea, it’s okay to share your knowledge! Explain to your family the amazing benefits of baby led weaning or loan them your book. Let people get used to the idea, like I mentioned, for some people it’s totally new and seems weird. 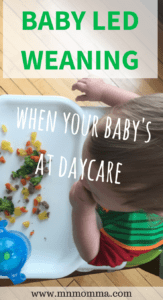 So when it comes to baby led weaning at daycare, there are a few important steps you need to follow. Ideally before your baby even starts childcare. 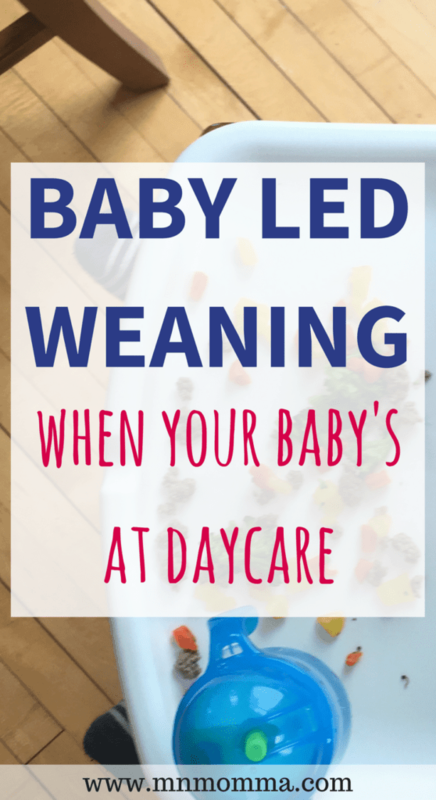 Tell your provider your plans to use baby led weaning at daycare and ask them if they’re comfortable implementing it for your child during the day. I love it and many babies have done it before! Woohoo! Is there anything else to say? Your provider knows BLW and has had success with it in the past. This is great news! Make sure you talk things over to make sure your BLW plan is the same as your providers. Some people are more or less strict with helping a baby with certain foods. I’ve never done it, but I’m open to trying it! Another great response! Your provider is open to the idea and willing to learn about BLW. Make sure you know your stuff and what you want your provider to do and why. 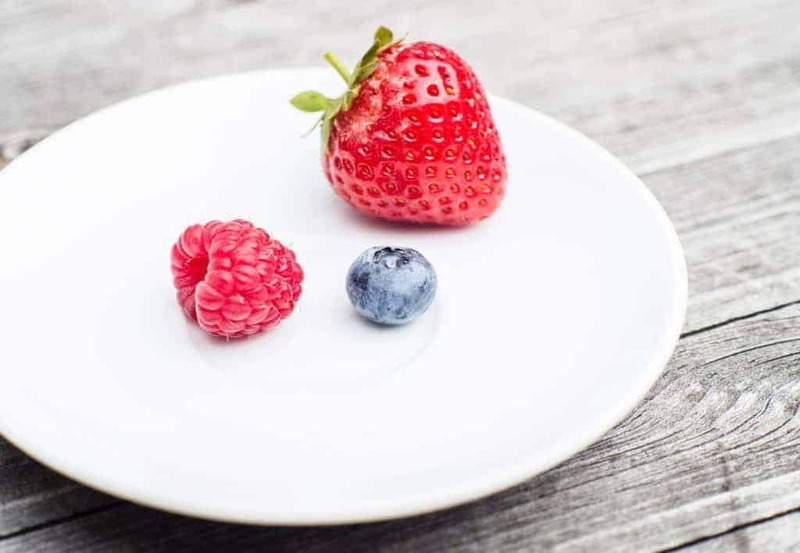 Explain the science behind the benefits of BLW and how it works. If you feel it would help to give your provider a book, do it! I’ve done it before and things didn’t work out. 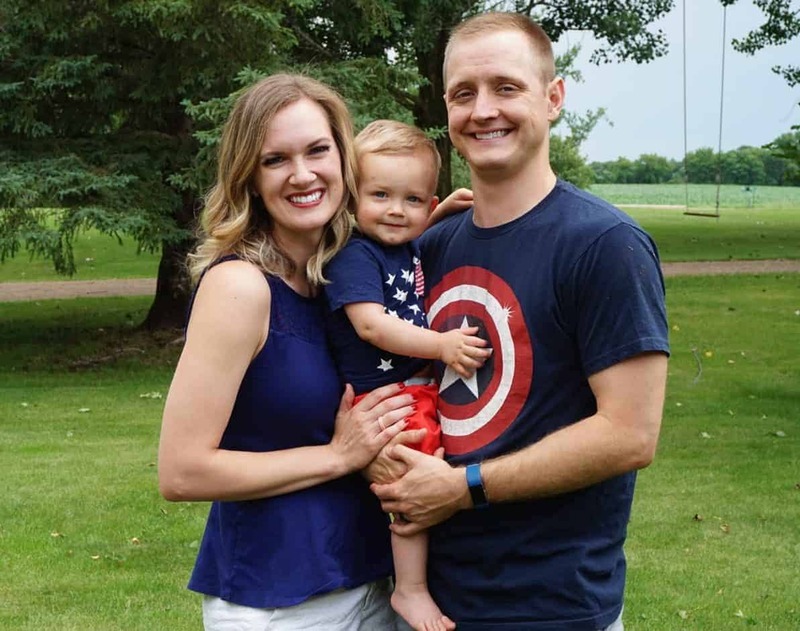 Talk with your provider about your view on BLW and why things didn’t work out the first time. Be calm and understanding. There’s a reason your provider allowed it once and is now concerned. Be sure to hear them out and understand their concerns and worries. There’s a chance the previous experience was a more/less strict version of BLW. Your provider may be open to some modifications of BLW. I’ve never done it before and I’m not comfortable trying it. Do a combination. Let your baby do BLW at home for breakfast and supper. For lunch, allow your baby to receive baby food. Your baby will still get practice at home with learning new foods and fine motor skills. And your provider will be comfortable. Offer to provide the foods for lunch. 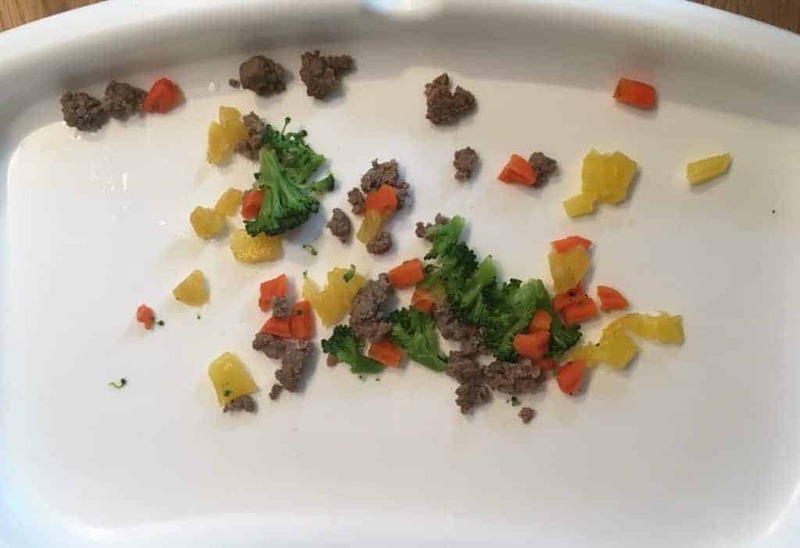 Some providers are okay with baby led weaning at daycare if parents provide the food already pre-cut and ready to go. This means in the exact sizes that are okay for your baby. This relieves some of the pressure on the provider and they know that the food is being prepared correctly. DON’T try to force your provider to do this for all children. 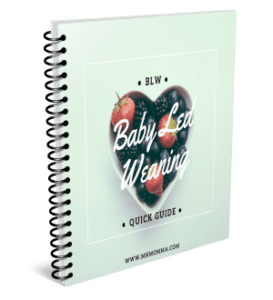 You may love BLW so much that you believe it’s the best method for all babies. But remember – you got to make the choice for your baby, let others make the choice for theirs. If someone is uncomfortable with BLW it’s not going to be the best choice for their family. Those amazing fine motor skills, I tell you! Our son is almost 1 year old, and we’re still talking about all the skills he’s demonstrating as a result of being a baby led weaning child. 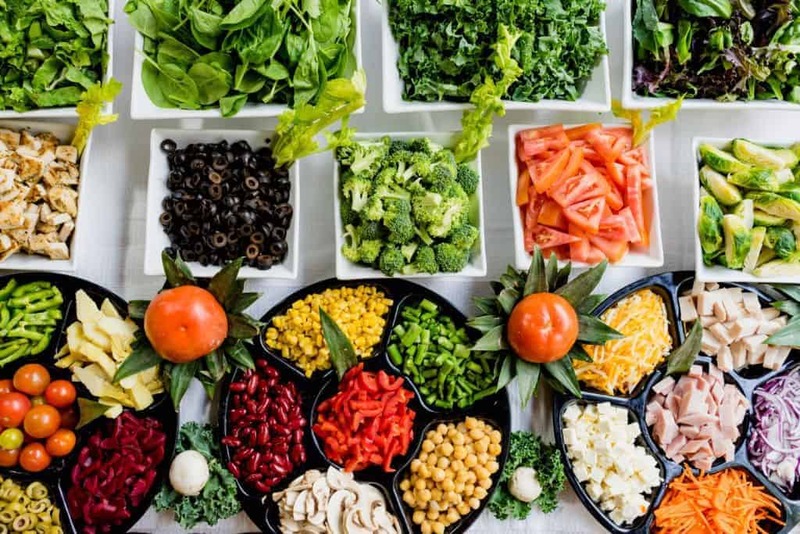 Your child will likely pick up fine motor skills earlier and faster, learn how to control his or her portions and say when he is full, and will hopefully be a less picky eater! Have fun and embrace all the adventures of baby led weaning! 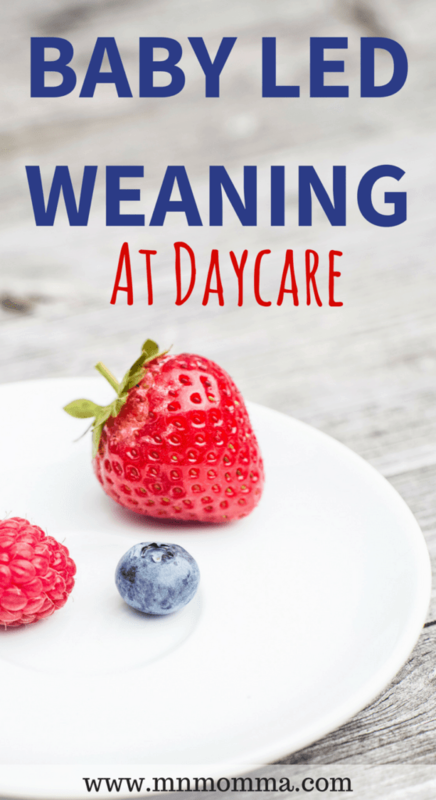 If you’re looking for a Baby Lead Weaning Quick Guide, check out this affordable one ($5) to help you through the first few months! It’s a great supplement to other BLW resources. 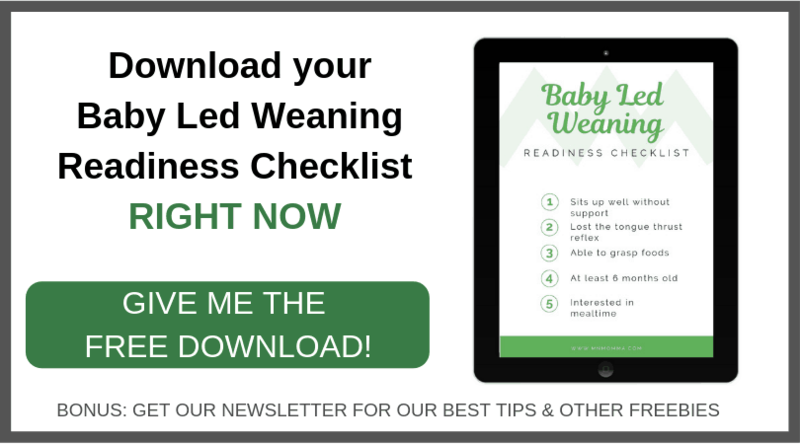 Click these links for more on Baby Led Weaning and the Baby Led Weaning Must- Haves List. Medical tip: Be sure that you, your provider, and anyone else who will be watching your baby knows how to perform CPR and how to help a choking baby. 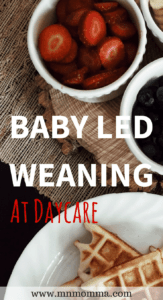 Baby led weaning choking can be one of the scariest parts of baby led weaning if you don’t know the difference between choking and gagging – and how to help if your baby is really choking. This video provides a great free refresher.